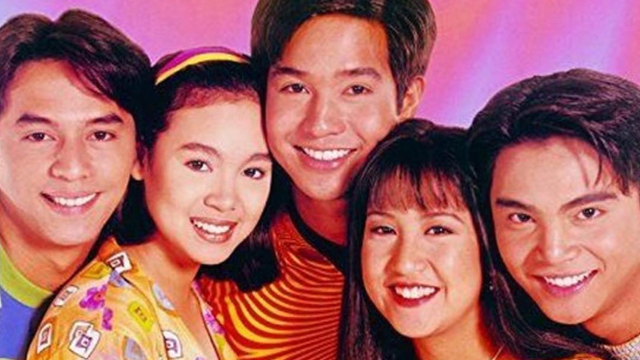 (SPOT.ph) There have been a lot of great Pinoy rom-coms throughout the years, but there are some that were just so unforgettable and made their mark on Pinoy pop culture. It’s not unlikely that you’ll find a hilarious meme or at least, a reference to them when you’re scrolling through social media. So, whether you’ve watched every love-team offering for the past few years or if you’re just getting into the rom-com game, we’ve rounded up the essential flicks you have to see at least once. To make things easier for you, we’ve listed all the places where you can stream them, too. There’s nothing like a best-friends-turned-lovers story to get you swooning. Ned (Marvin Agustin) and Bujoy (Jolina Magdangal) have been friends since childhood. While Ned is busy trying to impress another girl, Bujoy only has eyes set for Ned. Things change when Bujoy starts dating Ned’s bandmate, which makes Ned question his feelings for Bujoy. A follow-up is already in the works with Magdangal and Agustin reprising their roles, so you’ll have more Ned and Bujoy to fall in love with soon enough. Perennial bridesmaid Toni (Claudine Barretto) has always disliked Lorenz (Rico Yan) for taking bad photos of her at weddings. But still, she agrees to do a photoshoot for him in exchange for him trying to find her the perfect guy. It’s one of the best Pinoy rom-coms for good reason—Barretto and Yan’s chemistry is palpable even if they’re supposed to hate each other, so you can’t help but feel kilig at the all-too-cheesy scenes. It’s impossible to never have heard of Popoy (John Lloyd Cruz) and Basha’s (Bea Alonzo) love story. After breaking up over chicken skin (because Popoy is too controlling) the two go on their separate lives—or well, at least they try to. Popoy starts dating the monthsary-celebrating songwriter Trisha (Maja Salvador) while Basha focuses on her career as an architect. It’s only when one of their friends drinks shampoo (yup, for real) that Popoy and Basha start thinking about their relationship and if they ended it too soon. It’s definitely a must-watch film if it became the start of a trilogy that includes You Changed My Life and It Takes a Man and a Woman. In A Very Special Love, Laida Magtalas (Sarah Geronimo) finally gets to work with her lifelong crush Miggy Montenegro (John Lloyd Cruz) at his publishing company. But with all of Miggy's arrogance and hotheadedness, Laida soon finds out that he’s not exactly who she thought he was. When Irene (Toni Gonzaga) gets left at the altar by Apollo (John Lloyd Cruz), she does the only reasonable thing when she runs into him later on: Pretend to have amnesia. While you might be torn at first, Apollo’s attempts to win her back and woo her again—pick-up lines, sticky-notes-filled houses, and all—will make you swoon soon enough. 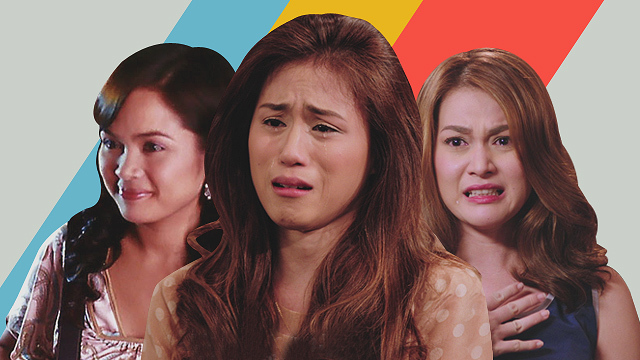 This tear-jerking drama about the Salazar family also touches on the love stories of siblings Teddie (Toni Gonzaga), Bobbie (Bea Alonzo), Alex (Angel Locsin), and Rebreb (Enchong Dee), who’s having the titular wedding. (Shaina Magdayao’s Gabbie doesn’t really have a romantic storyline.) Aside from the satisfying scene where Alex drags Mocha Uson out of a bar, the 12-minute-long confrontation scene that involves the whole family is what makes this movie such a gem. Streaming it is now easier than ever, so you don’t get to use Bobbie's infamous line, “Bakit parang kasalanan ko?” when someone asks you why you haven’t watched this flick yet. When Ginny Gonzales (Toni Gonzaga) had a crush on her teacher Marco Villanueva (Piolo Pascual), she probably never imagined she’d be the one leaving him for another country with no explanation. That’s why things were bit awkward when Marco asks the architect Ginny years later to design his and his girlfriend Patty’s (Iza Calzado) new restaurant. It’s not always the best idea to work (or even reconnect) with your ex—which is what makes this movie a relatable and emotional watch. Love-team partners Kathryn Bernardo and Daniel Padilla play two generations of star-crossed lovers in this complicated-but-ultimately-rewarding movie. In the '90s timeline, Kenji (Padilla) tries to get his ex-girlfriend jealous by dating Athena (Bernardo). As their fake relationship blossoms into a real one, the current timeline follows the story of Kenji’s son Kenneth (also played by Padilla) and Athena’s niece Kelay (also played by Bernardo). Arguably the film that put director Antoinette Jadaone in the spotlight, That Thing Called Tadhana has earned itself a spot on plenty of must-watch lists. 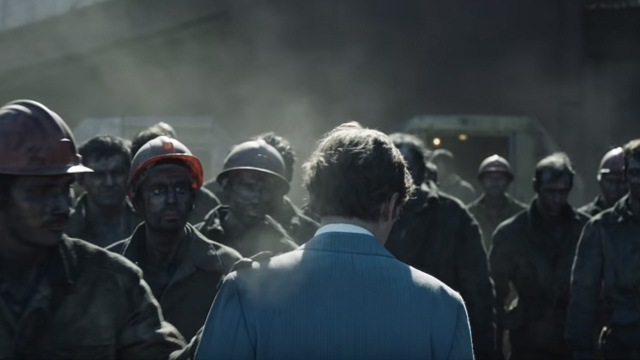 You won’t find crazy kabit confrontation scenes here. Instead, you’ll get relatable sawi lines as the heartbroken Mace (Angelica Panganiban) goes on a life-changing road (or should we say feels?) trip with stranger-turned-confidant Anthony (JM de Guzman).